what is it about bugs as food that interests me? What are some advantages of eating insects? Are there downsides? Why are insects not more popular as a source of food? Why do some people object to them, and how might objections be addressed? Halloran, A., et al. "Regulating Edible Insects: The Challenge of Addressing Food Security, Nature Conservation, and the Erosion of Traditional Food Culture." Food Security, vol. 7, no. 3, 2015., pp. 739-746 doi:10.1007/s12571-015-0463-8. BOREL, BROOKE. "THE RISE Of The INCREDIBLE, EDIBLE! INSECT." Popular Science 286.5 (2015): 44-49. Web. 20 Oct. 2016. "Insects As The Food Of The Future." 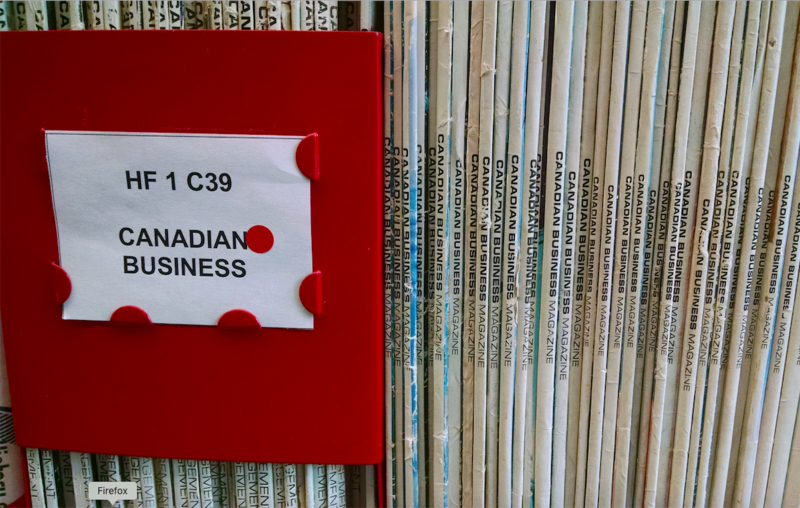 Candy Industry 179.8 (2014): 47. Retrieved: 20 Oct. 2016. What is an article? A journal? Megido, Rudy Caparros, et al. 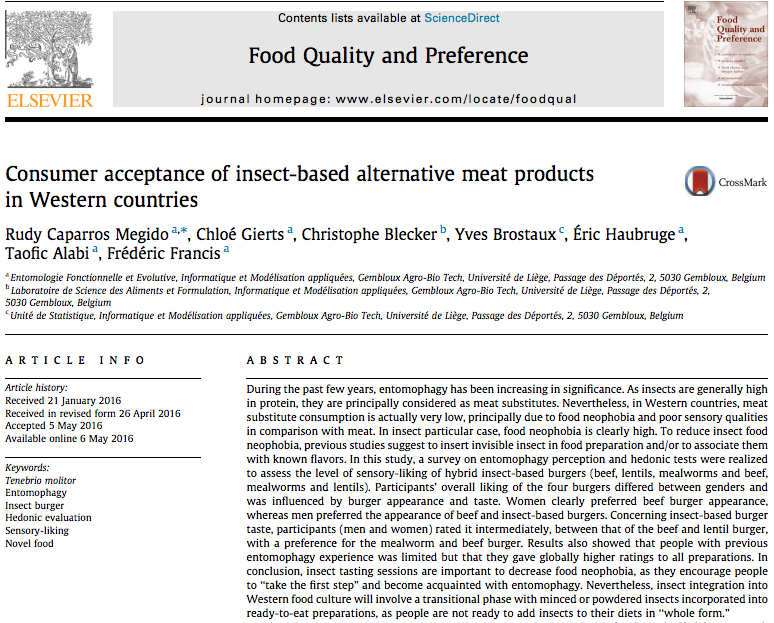 "Consumer acceptance of insect-based alternative meat products in Western countries." Food Quality and Preference 52 (2016): 237-243. Mirsky, S. "For Dessert, May I Recommend the Buglava?" Scientific American, 311.3 (2014): 96. Web. 8 May 2017. Burdg, Jessica. 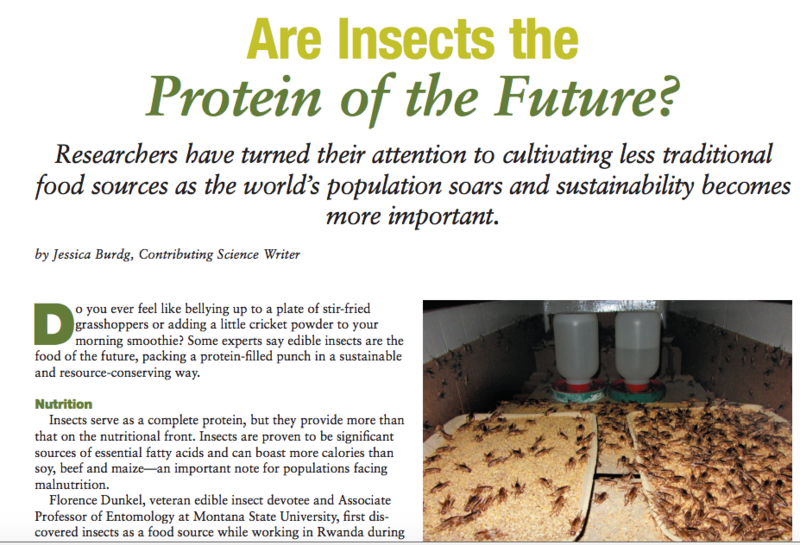 "Are Insects The Protein Of The Future?" Laboratory Equipment 52.9 (2016): 22-23. Web. 20 Oct. 2016. Popular or trade sources may mention academic studies or researchers that you can look up. Check Google Scholar to see if a useful book or article has been cited by other, more recent, publications.